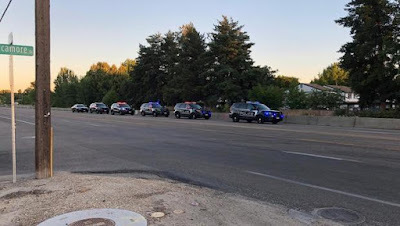 Journal de La Reyna (World News Today): Terrorist Attacks Migrants In Boise! 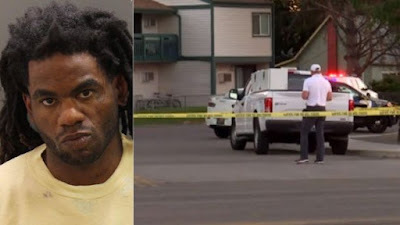 Boise was rocked by a terrorist who stabbed people. Racial dog whistle - Open borders. Conservatives use this word vomit to paint immigration reform as "white genocide." You notice the junk food media fails to hype up terrorism caused by white people. Every time there is an incident in the United States that involves a person of color who was attacked by white extremists, you won't hear Donald J. Trump, Fox News, The Drudge Report, InfoWars, Breitbart, Colin Flaherty and The Gateway Pundit will not hype this to epic levels. If it was a Muslim, a Black man, a Latino, an undocumented immigrant, or a politically motivated activist, it's blown up. Sean "Softball" Hannity faced a backlash after he accused Rep. Maxine Waters (D-CA) of being an instigator to the mass shooting in Maryland. His ridiculous rhetoric is the reason why accountability is definitely needed at Fox News. Now should we blame Softball Hannity for an incident that happened in Idaho? Idaho authorities detain a man who deliberately stabbed nine people at a Boise apartment complex. Four of the victims have life threatening injuries. The chief of Boise Police, Bill Bones said a 30 year old man was held in connection to the stabbing. They haven't released the name of this terrorist. They often wait until he appears in court. Nonetheless, I won't acknowledge the terrorist. The terrorist was caught by Boise Police. The victims who were immigrants and people trying to live in a safe environment. Police discovered the terrorist within a few minutes. He is being held on multiple accounts of attempted murder and possibly a hate crime. Even in Boise, crime happens. But could this be a crime inspired by Donald J. Trump and Softball Hannity? Trump called some migrants part of MS13, the transnational criminal gang organization. Yesterday, there was a massive protest in regards to Trump's zero tolerance on border crossings by illegal immigrants. The protests were epic. Maybe this could be a message to those who support removing children from family.